…No matter the level of care and caution you apply on your skin, signs of ageing will catch up with you eventually. Every day, we smile, frown, laugh and even sneeze. These repeated daily facial expressions can make a face to grin and cause fine lines, wrinkles to develop around the eyes and foreheads. This development makes you look angry, confused and tired even when you are not. Stress also result from it the fast growth of these wrinkles when it becomes excessive. These wrinkles and creases will eventually make you look tired and older than you are actually. Fortunately, a combination of several cosmetics and injections you can safely use to treat and reverse these adverse effects of ageing. It will make you regain your lost youthful vigour in no time. Botox is a top grade selling FDA approved product and the first of its kind in the history of skin care. It works by inhibiting the contraction of these muscles that result in wrinkles and creases. Thereby producing a softer, smoother and younger looking appearance. Botox is usually used to weaken the facial muscles that cause wrinkles and fine lines to appear on the face. Especially crow’s feet and glabella. They are the “11 lines” between your brows individually. Botox is also commonly used to relax the neck and thigh bands. But you should consult a medical practitioner to advise you on the best choice that suits your skin type and has the most minimal possible side effects if any. 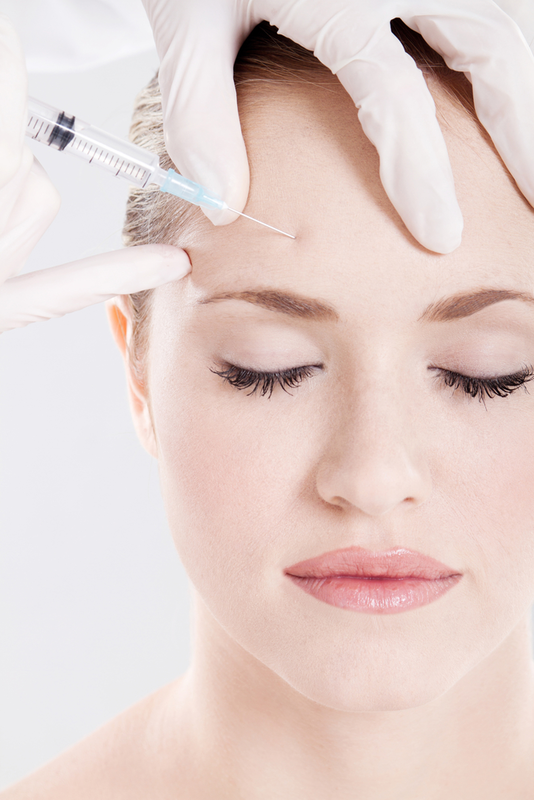 Botox is administered on the skin using a small fine needle to inject the specific site that needs enhancement. 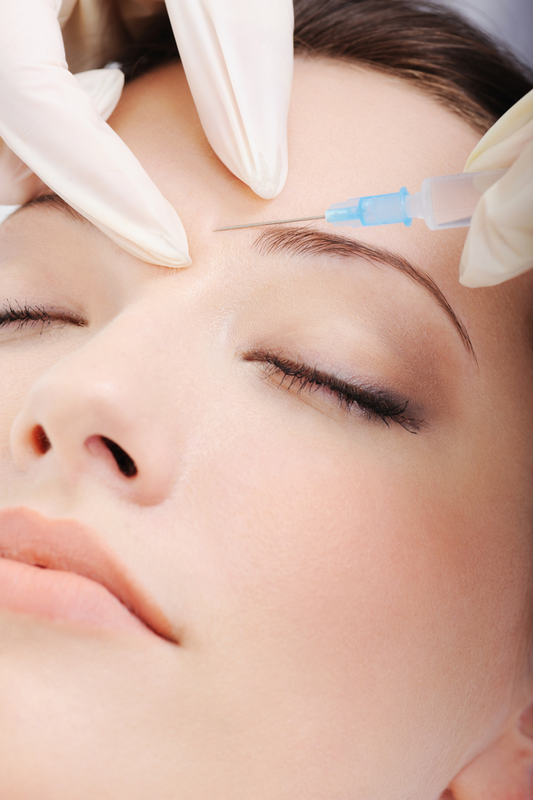 The most active ingredient in Botox is known as Botulinum toxin. This toxin is released to prevent the impulse of the nerves from reaching the muscles. So your muscles will be relaxed and create minor wrinkles and creases alongside. You can enjoy this effect for several months before you will need another treatment. Botox is an in-office treatment that doesn’t last longer than 15minutes to administer. Although slight discomfort characterises the process at the injection site. But it will only last for a few seconds. And it fades off a few moments after the treatment. This allows you to continue with your normal daily activities before the treatment. Botox is unique due to its zero downtime in the procedure involved. Its effect is so calm that people will hardly know the secret of your sudden refreshed look and appearance. Are There Any Alternative To Botox? If you want to consider alternatives, consider Xeomin because it is similar to Botox and it has no additives. It is useful in treating wrinkles and fine lines just like Botox. However, if you want to restore the lost volume in your face, you may consider dermal fillers as an option. Dermal fillers such as Juvederm and Radiesse are dermal filler treatment used to pump the lips, reverse the effects of ageing and enhance shallow contours. Juvederm results can stay up to 12 months while Radiesse can last up to 2years. If you like to consider Botox or any of the alternatives suggested above, you should seek proper guidance from a medical practitioner. …The skin loses a lot of fat beneath the skin as a result of aging. It can also lose it elasticity because of severe sun exposure, hereditary factors and lifestyle. Such a loss is evident when the skin begins to develop frown lines, crow’s feet and wrinkles. Wear and tear and actions of the muscles also causes wrinkles and fine lines to develop on the skin. Amongst all the different parts of the body, the forehold is the most common place you can easily find these lines. Thereby making the face to look old and dull. However, you can restore beauty and youthful look with injectables like Botox and other dermal fillers as well. They work by reducing wrinkles without much hassle from your part. These procedures are not only quick but they are also non-surgical and minimally invasive. You can easily perform them during lunch and does not require hospitalization. Botox is undoubtedly the best treatment for horizontal forehead wrinkles. It’s injectable and it works by freezing the muscles around the injected area. It concentrates on the muscles of the forehead that causes horizontal wrinkles. Then, it blocks blocks the nerve signals in the muscle close to the site of injection. This weakens the muscle so they can’t respond to stimulus.when these paralyzed muscles are not able to move, it causes wrinkles to cease and eventually fade away. Aside from fading these wrinkles away, the Botox has several non-cosmetic advantages, and this includes relief from excessive perspiration and migraine. It’s suitable for people of all ages both old and young. Applying such a treatment on horizontal forehead wrinkles can help you look your best and not over-aged. You can easily revive your youthful glow and confidence with Botox. It can be of immense help to age persons who want to reduce the signs of ageing on their skin. Aside from these, there are other several Botox treatment areas that can help you to look younger as well. Dermal filler is approved by the FDA an an injectable that helps to reduce facial lines by bringing back the fullness and lost volume to the face. It uses a substance that is similar to collagen to reduce these wrinkles, known as Hyaluronic acid. Dermal fillers can soften wrinkles and facial creases and also plump thin lips. It helps the dermal layer of the skin to add more volume, because it has been thinned by aging. Fillers helps to plump and fills the tissues of the face. It restores back youthful age by ironing out the creases and fine lines of the face. The best treatment for horizontal forehead wrinkles depend on several factors such as the elasticity and the age of your skin. However, if the horizontal lines on the forehead have become deepened and permanent, then; applying just Botox on it may not produce the desired results. So you may consider combining both Botox and dermal fillers. You may choose to consult the services of an experienced dermatologists who understands the condition of your skin. Such a professional will guide and assist you on choosing the best treatment for horizontal forehead wrinkles. Every person has a unique skin texture and needs. And a particular treatment that worked for one person might not work for another. …Are you interested in having younger and smooth skin, perhaps you have heard of how Botox is useful in the treatment of skin disorders. Are you also aware of the fact that certified cosmetics surgeons can apply Botox in the treatment of excessive perspiration? Excessive sweating is also known as hyperhidrosis, and it can lower your self-esteem and hinder the performance of some routine daily activities. The most common sites of seating include the sole of the feet, the underarms and the palm of the hands. Imagine sweating on a regular basis as though you were engaged in a vigorous exercise. This excessive seating can adversely affect your personal and professional life. It lowers your self-image by making you conspicuous. To treat excessive perspiration, Botox is injected in the same way as it is done for treating facial wrinkles. It works by blocking acetylcholine, which is a chemical that is carried by the nerves that stimulate the sweat glands. The sweat glands are thus prevented from producing sweat by blocking the signals. But you will still excrete sweat in other parts of your body, but not in areas that have been treated for hyperhidrosis. This mode of treatment is entirely safe. Thus, the Food and Drug Administration endorsed Botox for the treatment of hyperhidrosis since 2004. What You Should Expect From A Botox Treatment…First, you should undergo an iodine test, which is meant to spot the area of the underarm that produces sweat. To do this, iodine solution and starch are used to coat the underarm. At the point when you start sweating, the powder will be back in any part of your body where you are sweating. Your cosmetics surgeon will then administer Botox to specific areas of the underarms. This process requires about 15 minutes. Each treatment varies, for patients who have undergone Botox treatment, but there is a drastic reduction of hyperhidrosis or complete disappearance of the problems after four months and even longer in some cases. Studies have proven that have proven that Botox is handy in the treatment of excessive sweating and those who have applied it, can attest to this fact that it helped them to reduce perspiration by 5o% at most. Fact Or Myth – Does Botox Treat Migraines! …Botox may not be a new concept to you. You must have heard of how useful it is for smoothening facial wrinkles. It is a beautiful injectable that can reverse the sign of aging. It is used to treat various conditions such as gummy smile treatment and excessive sweating. This powerful injectable is gradually gaining grounds as an effective treatment for more devasting health conditions. Since the FDA approved it in 2010, Botox has since been a valid option for chronic migraine relief. Botox is a neurotoxin that has chemical properties capable of correcting crow’s feet and frown lines. It works by inhibiting the functions of the facial muscles and blocking the nerve signals that trigger a migraine headache. If you take an overdose of this treatment, it may cause more harm than good. But Botox is administered in little dose at a precise spot on the body. The cause of a migraine is still unknown, so it’s difficult to determine how Botox work to give relief. But it is suspected that Botox injection work by blocking the release of the chemicals that stimulate a migraine headache. It also blocks the nerves and muscular movement in the pain-prone areas of the body. With Botox treatment, your body will be unable to send pain signals to the brain, and it also relaxes the muscles. These two functions help to keep migraines away. A single migraine is challenging to manage, but the worst you can get is a chronic one. To be seen as chronic migraine, it must occur for at least fifteen times in a month. 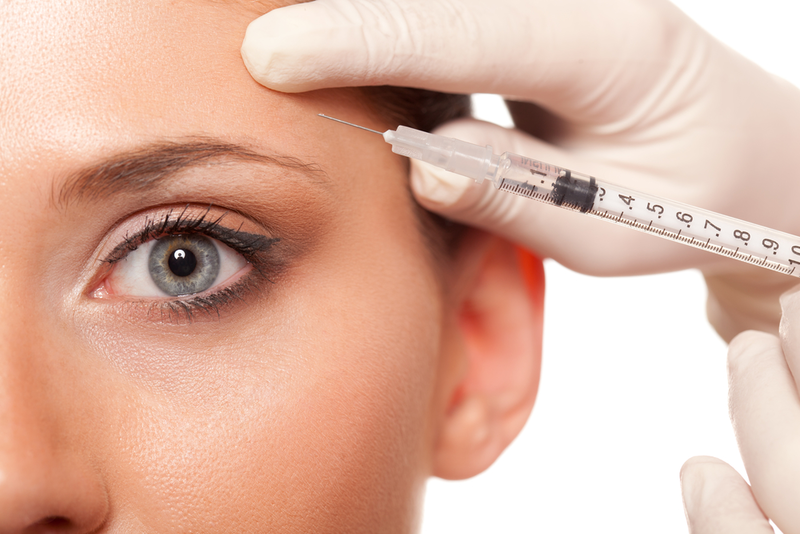 Botox is a valid option for people suffering from a migraine headache because it can last up to 12 weeks in the body. It works by reducing the frequency of a headache. According to studies, Botox has been able to reduce the rate of a migraine headache as well as its duration. But is not ideal for anyone suffering from a migraine that occurs less than fifteen times a month. There are different types of headache. Most of them will make your life a miserable one while few are just like a migraine headache. Although it is tough to tell a migraine from a regular headache, it’s incredibly vital as well because Botox is only meant for a migraine headache. 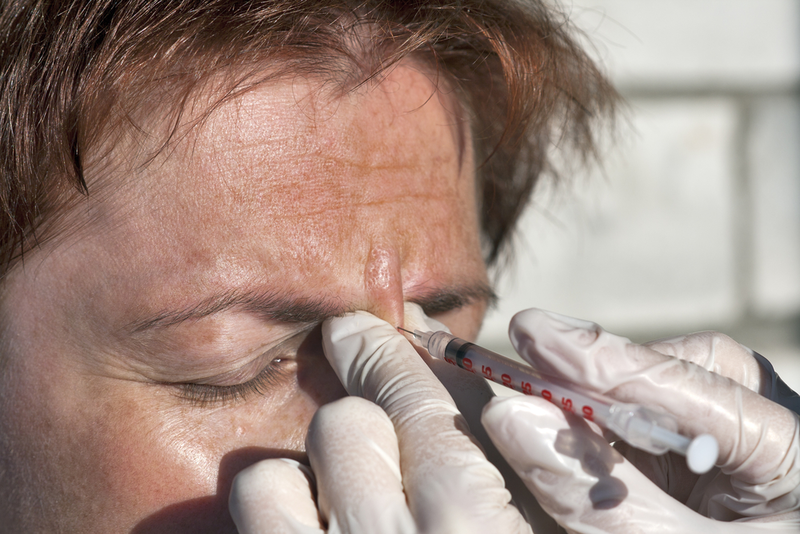 Botox treatment for migraines does not produce immediate results. Most patient notice sign of relief after a minimum of two doses while other notice they’re after a few weeks of applying the first treatment. Botox injection is typically administered on the neck and around the head, and it’s repeated after 12 weeks. But you may require more doses on the particular pain spot if you experience consistent localized pain. Most patients notice less pain, visual disruption, and a suitable living condition after treatment coupled with lesser sick days off work. If you have ever been a victim of a migraine headache, you are aware of the pain it causes. Migraines are painful to bear, and even the most hardened people still gnash their teeth and crawl into the be till the bed subsides. Botox can be effective. It can you a safe relief from migraines. This will enable you to live the life of your dreams without much worry or stress over a particular headache. If you are experiencing a severe problem that occurs more than fifteen times in a single month, then you should try Botox. …If you are searching for a unique way to turn then, Botox would be a perfect and a practical choice. Millions of people trust it as a means of getting back their youthful vigour within a short time. It was estimated that in the year 2016 alone, a total of 6.7 million Botox procedures were conducted. And this resulted in an expected increase of 759% since the year 2000. 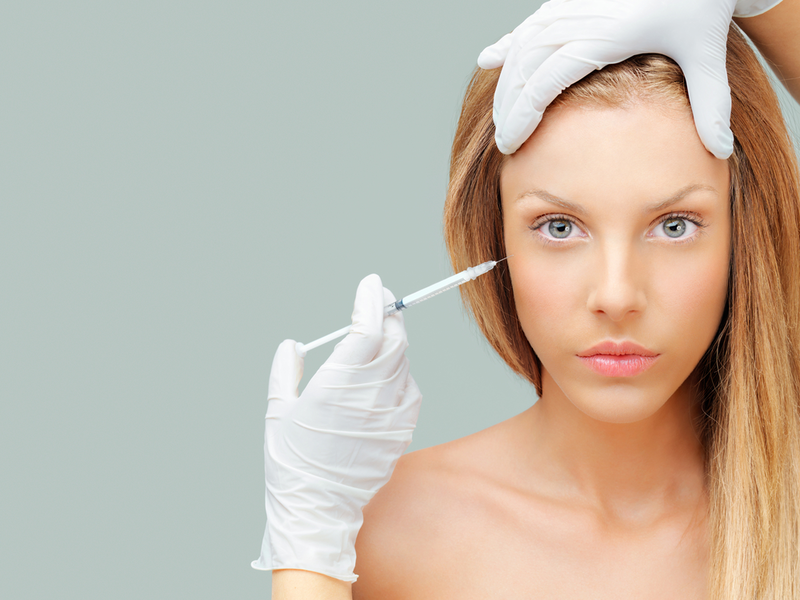 Have you ever wondered why Botox has grown increasingly popular over the years? Let’s consider five significant benefits of BOTOX to understand better. Botox applies clinically tested procedures to remove wrinkles and fine lines from the face. It works by weakening the muscles that are responsible for creating these fine lines and wrinkles. When they become wrinkled, they can no longer move the face into a wrinkled state. It results in a fresher look and younger looking smooth face that removes several years from your looks. Botox is not just used to remove wrinkles alone. It can be used to prevent them from appearing initially. It is especially useful on that kind of lines that become visible whenever you frown, smile or squint. It stops the muscles of the face from working, hence; your face won’t develop any wrinkle if you start the treatment long before these fine lines becomes visible. Any person under the age of 18 can use Botox safely. Contrary to popular believe, Botox is entirely safe to apply on the body system. Generally, it has no side effects provided the right dose is applied, and it is performing according to the proper procedures. It’s done by using a little amount of toxin to help relax the facial muscles. Some notable side effects include pain at the site of injection, bruising and headache. But a few people experience drooping eyelids or brows. But they tend to go back to their normal state after a few weeks. Although it’s considered safe, pregnant women and nursing mothers should seek proper medical advice before using it. You will discover that the Botox treatment is a great deal when compared to the prices of similar cosmetic surgery. Although prices per unit vary according to the provider, its price is much affordable. Its price is unit based. So the cost of treatment will depend on the number of units you will need to get the desired results. You can consult an experienced Doctor to furnish with the number of estimated units you will require to achieve the desired effect. Botox is not a permanent solution, and you will need to apply it 2 or 3 times each year. If you are not satisfied with the result you got, then it could be a sigh that Botox is not meant for you so you can continue its application. But a lot of people that have applied Botox are always thrilled with the results, and this has made them keep using it. …Botox is now a household name due to the popularity that the show “The Real Housewives of Orange County” brought to it. Some people think Botox is only meant for wrinkles on the face. While this might be true to an extent, there are other significant areas Botox can be applied to on the body. According to how the show portrayed it even without surgery, Botox can be administered around the lips too. Aside from these, Botox can be used to treat other non-wrinkle condition such as excessive sweating. We all know how excessive sweating can be, especially after a rigorous workout session. It is regarded as a bona fide situation also known as hyperhidrosis. However, excessive sweating can be embarrassing and hurt one’s social life. It can embarrass you on a date night, at work and even your personal life. It tears down your self-image. To curb it, you could first try antiperspirants. But what it fails. Another option is to seek Botox treatment. When the skin is injected with Botox, it blocks the acetylcholine, which is responsible for stimulating sweat glands in the body. A local injection of Botox switches off the sweat glands on the injected site. According to studies conducted, about 81% of patients that apply Botox treatment for sweat reduction purposes notice a reduction in sweating by 50%. Note that it is not meant to cure and there are no permanent effects. But the results can last for many months, and you are advised to administer the treatment repeatedly for persistent results. Before now, patients who want to soften their jaw and adjust its appearance opt for a jaw reduction surgery. But it takes a long time to notice desired results which might be unnatural with unhealthy side effects. But today, with Botox, a professional cosmetic surgeon can enhance the shape of your face without cosmetic surgery. Women with an overly square or masculine face can soften their facial muscles with Botox. Botox injection is inserted into the masseter muscles (that is responsible for chewing) to soften them and keep them in a relaxed state. Hence, it can contour your face if you have a square jawline without necessarily undergoing surgery. So without going under the knife, patients can boost their self-esteem and enhance their looks. Unfortunately, smokers line can appear on your mouth even without smoking. They look as vertical wrinkles around the lips which can result from aging naturally. But smokers mostly have these lines puck their lips around their cigarettes frequently. Fortunately, you can get rid of these lines. One of the ways you can do this is by applying Botox. It works by inhibiting the functioning of the nerve impulses to the muscles in the smoker lines part of your face. Most times, a Dermal filler is used together with a Botox injection which fills up the skin to reduce the appearance of smoker’s line and wrinkles on the face. Each person has a unique skin texture and several skin beauty goals, but if you want to reduce the effect of smoker’s lines on your face, you should seek proper medical advice from a medical professional. Botox injection can be used to treat the effect of necklace lines and other wrinkles in the neck region. It can also enhance the face by altering the downturned corners at the edge of the mouth. There are several possible uses of Botox. If you have any part of your body that you are unhappy with and desire a change, Botox might be a practical solution for you. …Forehead wrinkles are one of the first sure signs that you are gradually aging. It’s an inevitable aspect of the entire aging process. Fortunately, there are effective ways of reducing the signs of aging as you notice them. So what is the best treatment for forehead wrinkles? The two most effective anti-aging treatment available are Juvederm and Botox. But how can Botox and Dermal fillers help you to get rid of wrinkles? Botox has a toxin that paralyzes the muscles. It relaxes the muscles and prevents its contraction. Dermal fillers work by plumping out your face an filling part that needs to be filled to increase the fat volume. It generally makes your face to appear smoother and more beautiful. Most people appear older because they have lost their facial tone and as they age, their face begins to lose volume in most parts. These lack of volume is the primary cause of skin sagging aging. And this is why you will need Botox and Dermal Fillers. Over the years, Botox has been handy in the treatment of deep forehead wrinkles and facial lines. Many patients love it because it’s affordable, easy and fast to administer. What Can Dermal Fillers Do For Forehead Wrinkles? Dermal fillers are a relative innovation in the cosmetic market. Hence, most people are yet to trust its efficacy. But it could be the best option depending on the severity of your wrinkles. The most popular fillers are Restylane and Juvederm. And most patients consider it as a healthy choice than Botox. Expect to see full results after a few weeks during which your skin undergoes several stages of smoothening. And the skin starts to make natural collagen subsequently. The active ingredients is a serum that fills the lines using hyaluronic acid. What Are Static Wrinkles And Dynamic Wrinkles? Static wrinkles are those wrinkles you can quickly notice when the face is relaxed. When your face begins to lose its volume and fullness, it will be manifested as static wrinkles. Most times, wrinkles can develop on the face indefinitely and no longer fades, these are dynamic wrinkles. Botox is useful for treating such conditions, and you will begin to notice the results after a few weeks. Dermal fillers (Restylane and Juvederm are always in demand by patients who need them to remove creases and fine lines from the face. The serum helps to hydrate the skin and fill up the wrinkles thereby causing it to fade off. Several factors are affecting your choice of the appropriate treatment option, be it Botox or Dermal Fillers. One of which is the dynamics of your facial muscles. The type of deep forehead wrinkles also plays a significant role. In most cases, both treatments can be combined to achieve optimum results. …Are you scared of sweaty arms? Have you ever found yourself in a situation whereby you are afraid to raise up your hands? Or you have to take an extra shirt with you whenever you are going out to avoid embarrassment? This could be as a result of a condition known as hyperhidrosis which can be treated with Botox. The symptoms of hyperhidrosis include excessive sweating in the palms, armpits, the sole of the feet, scalp, and face. People affected by these conditions can easily feel embarrassed when in public, but the condition is easily treated using Botox. Botox also known as Onabotulinumtoxin A, is a purified, natural neuro toxic protein which temporarily blocks the secretion of the chemical that activates the sweat glands. When this happens, the sweat glands at the particular injection spot becomes deactivated and can no longer produce sweat. On the average, you will notice a reduction in your perspiration level of about 70-90%, regardless of your gender. Even if Botox does not stop sweating entirely, you might still see some improvement. The treatment procedure only takes a little time, about 10mins and you can still go ahead with your routine daily activity just like before. The procedure involves the injection of some tiny amount of Botox into your underarms. However, you are advised to abstain from exercises or the use of sauna on the day of your injection. Patients will begin to notice signs of reduced perspiration level in as little as 2-4days, while some people will see its full effect on their sweat glands after about two weeks after treatment, but recent studies have revealed that it can also last up to 12 months. Botox Xeomin And Dysport – What Why And How! …Whenever we talk with another person, the first thing we notice is the person’s facial expression. Facial expression helps us to know whether a person is angry, sad, happy or even bored with the conversation and wish we could change the topic. Even though it helps us to express our feelings, its long-term effect is wrinkling which is rather unfortunate. Creases and frown lines appear on the face over time due to the repeated action of smiling, laughing and frowning. They tend to grow in number as we age and they eventually become the sign of old age. 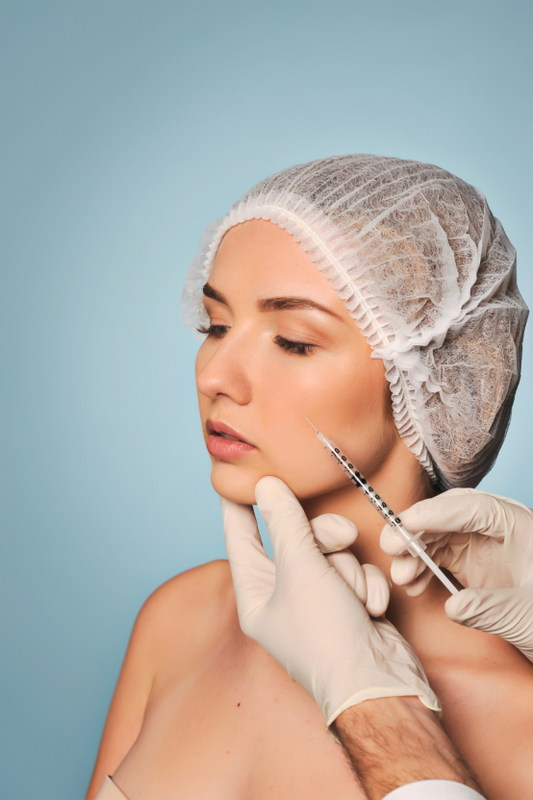 For this reason, you might be interested in knowing precisely what botulinum toxin is all about. 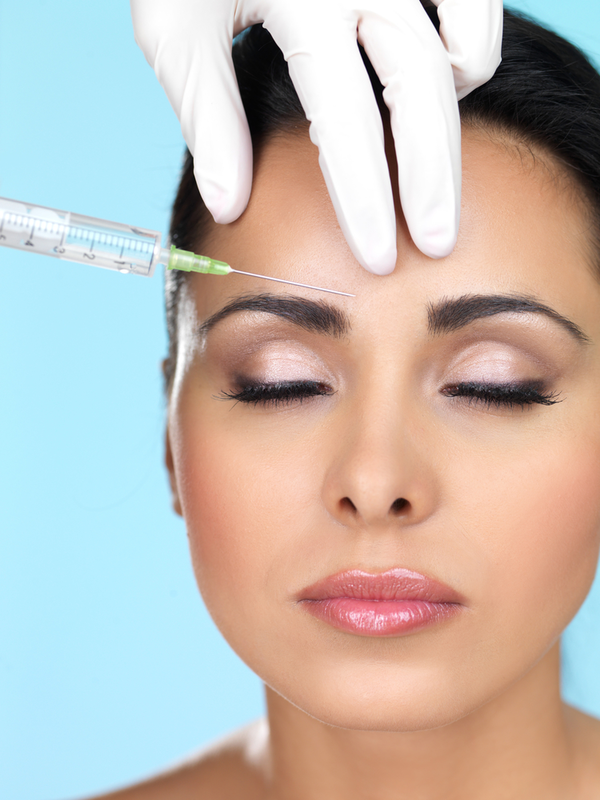 You might have some knowledge of botulinum toxin already because it’s popularly known as Botox. They are not just readily available, but there are several options you could choose from when you decide to apply Botox to fight signs of aging. Botox has been a practical solution to reverse the signs of aging for ages, Xeomin is relatively new while Dysport was introduced recently in the industry. These three products serve the same purpose. A professional administers the toxin into the specified areas of your face. It works by blocking signals to the muscles and nerves. The muscles can no longer contract as a result of the injection. So it makes the fine lines and wrinkles to soften. The entire procedure takes just a few minutes to complete, irrespective of your choice of the toxin. Your health care provider does not even need to administer anesthesia because you will only feel a minor discomfort from the injection. After a few days, you will begin to notice the result of treatment. But you are advised to avoid alcohol intake for a few days before the procedure. Aside from these, Botox, Dysport, and Xeomin are relatively cheap, fast and needs zero downtime. Regarding the cosmetic procedure, you ought to consider two things. 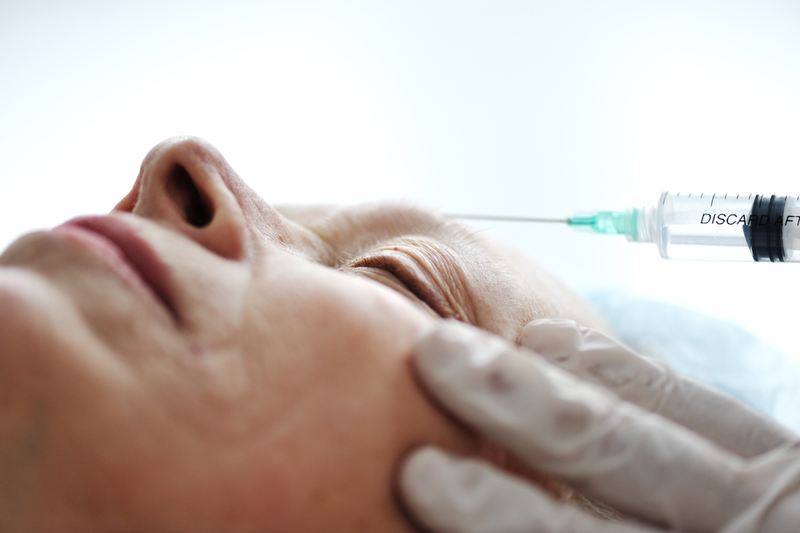 Botulinum toxin injection has minimal associated risks. But you need to be aware of them still. A usual side effect is temporary bruises, and slight headache might occur. Although such cases are rare, even if it arises; it will fade away within 48 hours. Most importantly, the patients need to understand the fact that the procedure is not a permanent one. The result will only last for a couple of months, but fine lines and wrinkles will gradually begin to reappear as your muscles start to contract again. If you wish to have a wrinkle-free face continuously, then you will have to repeat the treatment procedure periodically. It might sound like a whole lot of info to consider because it is. But that should not hinder you from conducting your research if Botox or any of the alternative forms of treatment might be suitable for you. Ensure you talk with a professional cosmetic surgeon to know the best option for you. Aside from that, you will also have the opportunity to ask questions bothering you about Botox and get them answered.